Canon Valasa is a Dunmer priestess initially found near Seyda Neen, who participated in a pilgrimage to the Andrano Ancestral Tomb. Upon completion of the quest Divine Conundrum she will move to the Temple Canton in Vivec City. Tell me more about your mission at the tomb. "We sought guidance in a matter that concerns Lord Vivec. I received specific questioms to ask while Llevule concentrated on summoning his ancestor. The Daedra ruined those plans when they fell upon Urnsi and we were forced to flee." "Vile creatures from Oblivion! You hear about an odd ghost or a nest of vampires, but never Daedra! Please, if they're still there, they'll rip Canon Llevule apart! He's definitely not a warrior. Just look at what they did to the Buoyant Armiger!" "The Buoyant Armigers comprise one of the military orders of the Tribunal Temple. They seek to emulate Lord Vivec's deeds through actions and words. Poor Urnsi! Those monsters went straight for her. Her blood flowed like lava from Red Mountain!" "Where are you from? Children learn of Red Mountain before they even taste flin. The mountain sits at the center of Vvardenfell, periodically rumbling like a sleeping nix shaking its leg. Lately, however, it seems to be waking from its long slumber." Tell me more about Azura. "Azura is the cruel but wise Daedric Prince of dawn and dusk. She's one of the "good" Daedra, for what it's worth, but for her to speak through an innocent means something terrible is about to happen. Why else would she dare Lord Vivec's wrath?" Lord Vivec and Azura don't get along? "What do they teach you where you come from? Lord Vivec's a Living God! Azura is merely the Anticipation of Sotha Sil. Vivec stands as the present and the future, while Azura clearly represent's Vvardenfell's past. So, no, they don't get along." "You don't know Lord Vivec? One of the Living Gods of the Dunmer Tribunal? You must be new to our land, Outlander. But there's no time. Canon Llevule remained behind. He needs help if he's going to get inside the tomb and ask Vivec's questions." "Yes, one of the God-Monarchs of Morrowind. He's the Warrior-Poet who lives in a grand palace in Vivec City. Lord Vivec sent us on this holy mission, to request information from Canon Llevule's ancestor. It breaks my heart that I have failed him." "Baar Dau is falling and Red Mountain erupts, but Lord Vivec will still protect." Tell me about the Tribunal. "Three form the Tribunal. 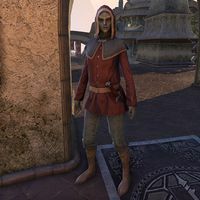 Mother Morrowind, Almalexia, is the protector of the weak and patron of the healers. Sotha Dil, Father of Mysteries, is a tinkerer and a mage, an architect of time. Lord Vivec, the ever-vigilant, is a warrior amd a poet." This page was last modified on 20 February 2019, at 03:35.